Well, you're in the right place. 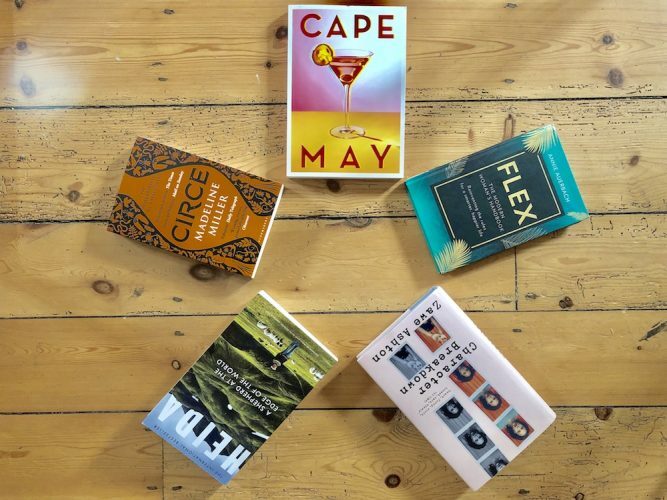 Muddy's pro bookworm Kerry Potter has a bumper selection of May's rave reads. 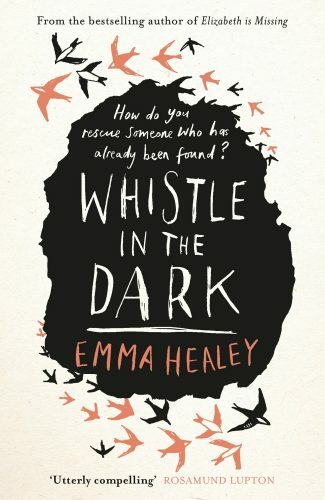 It’s every parent’s nightmare – Jen’s 15-year-old daughter, Lana, goes missing, during a holiday in the Peak District. But, happy ending! She returns four days later, bruised, upset, uncommunicative but alive. In fact though it’s just the start of Jen’s problems as she tries to get to the bottom of what happened to her girl; a tricky task when Lana refuses to talk. Will Jen’s family life ever be the same again? Healey has form on the intricacies of female relationships – her award-winning 2014 debut, Elizabeth Is Missing, detailed a woman’s search for her missing friend in the face of her worsening dementia. It’s currently being turned into a BBC drama. And talking of BBC drama, Whistle In The Dark has echoes of the chilling life-after-kidnap TV series, Thirteen, starring Jodie Comer. It’s not really a thriller as such though, with the narrative meandering rather than urgently twisting and turning. Ultimately the finer details of Lana’s disappearance are secondary to a beautifully crafted exploration of a mother/daughter bond. And while I know that doesn’t sounds like a barrel of laughs, it’s surprisingly funny too. Teenagers, eh? If you didn’t catch Eligible, US novelist Curtis Sittenfeld’s wonderfully witty modern reworking of Pride & Prejudice then I insist you read it immediately, followed by her new one You Think It, I’ll Say It, a short story collection so sharply observed you’ll cut your fingers on it. 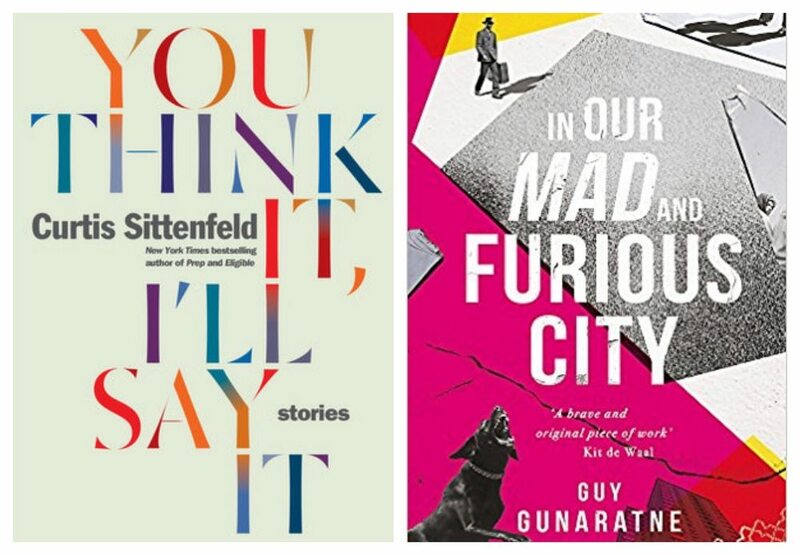 Meanwhile, my dazzling debut of the month is In Our Mad And Furious City by Guy Gunaratne who draws on his own childhood in this visceral tale of 48 hours on a London council estate, from which three young boys dream of escape. If you remember the fantastic French film La Haine, this is one for you. On a lighter note, The Last Romeo by Justin Myers, Gay Times writer and the ever-hilarious Guyliner on Twitter, is about a troubled thirtysomething man navigating the vagaries and downright insanity of the modern dating scene. 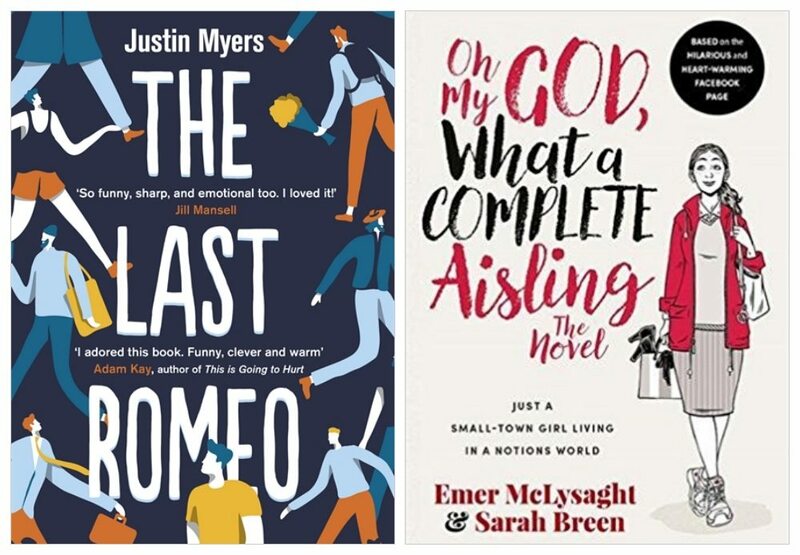 From the gay Bridget Jones to the Irish Bridget Jones with Oh My God, What A Complete Aisling by Emer Mclysaght and Sarah Breen. This quirky comedy is about a girl called – you’ve guessed it – Aisling whose search for The One isn’t going exactly to plan. Looking for love in real life? 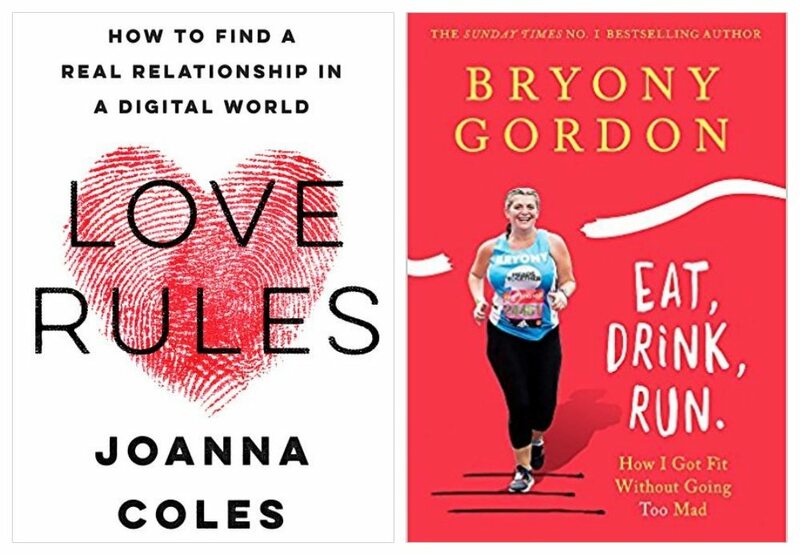 Take a peek at Love Rules by US glossy mag editor Joanna Coles, which promises to help women navigate relationships in a digital world. Indeed if you’ve got a taste for self-help, it’s a bumper month for motivating reads. 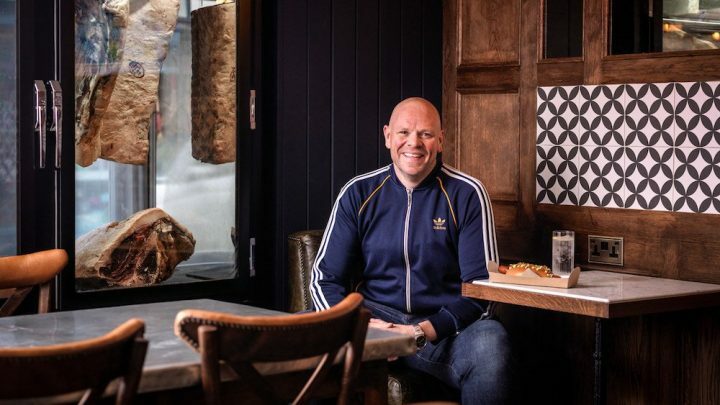 Journalist Bryony Gordon recently ran the London Marathon in her underwear, as you do, and here comes her latest memoir, Eat Drink Run: How I Got Fit Without Going Too Mad. If you’ve read any of her previous books or columns, you’ll know that she’s as a candid and down-to-earth as she is funny. This one is no exception. Elsewhere, neuroscientist Dean Burnett explores the concept of happiness, where it comes from and why we so value it in The Happy Brain. Sounds dry? Not a jot – he moonlights as a stand-up comedian. Finally, I’m fascinated by other people’s daily habits and rituals (us journalists are professional nosey-parkers, after all). 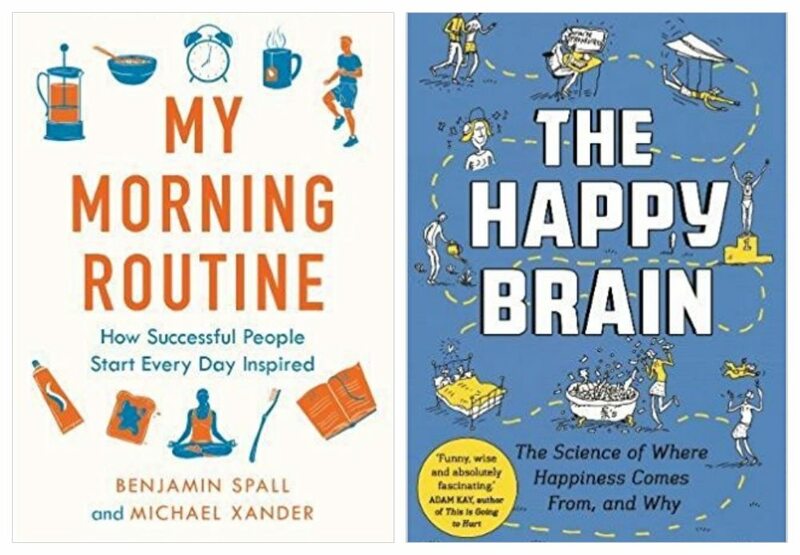 So My Morning Routine: How Successful People Start Every Day Inspired by Benjamin Spall and Michael Xander is right up my street. It delves into how high achievers such as Arianna Huffington utilize the early hours of their days, with tips on how to maximize your own wellbeing and productivity. 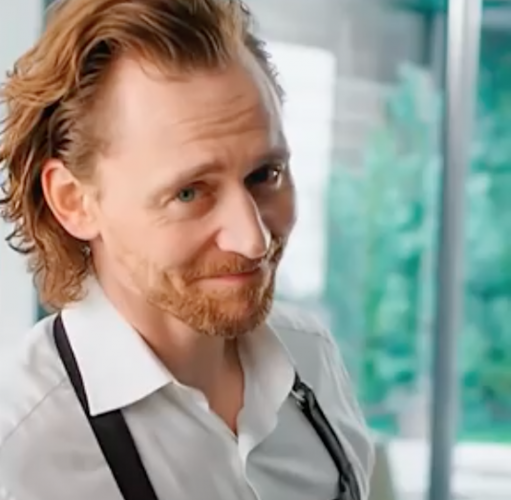 Needless to say, lazing in bed with an appalling hangover, watching Lorraine, mainlining tea and scrolling mindlessly through Instagram doesn’t feature much. Good job they didn’t ask me to contribute.